Indulge yourself fully with none of the worry with Torani's Sugar Free syrup line. 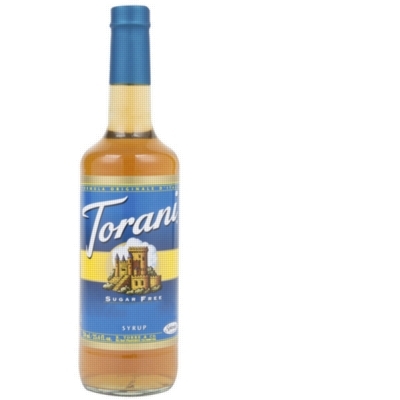 Choose from a variety Torani sugar free syrup flavors, from vanilla to english toffee to white chocolate to make your drink extra flavorful without the extra guilt. Sweetened with Splenda. NOTE: Sugar Free Red Raspberry can be used in dairy-based drinks without causing curdling. INGREDIENTS: Purified water, natural flavors, caramel color, sodium benzoate and potassium sorbate (to preserve freshness), citric acid, xanthan gum, sucralose (SPLENDA� Brand), and acesulfame potassium.